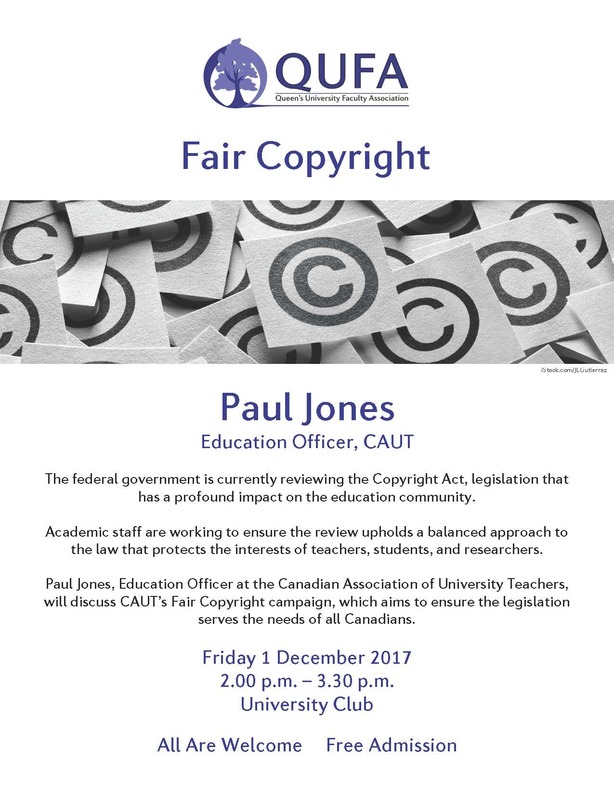 Fair Copyright event with Paul Jones of the Canadian Association of University Teachers is today at 2pm at the University Club. 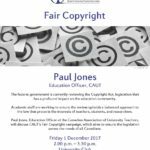 This will be followed, at 3:30, by a Quaff with QUFA – first drink on us – to mark the end of classes and continue the conversation. All Members are welcome.